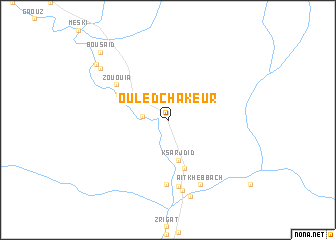 Ouled Chakeur is a town in the Er Rachidia region of Morocco. 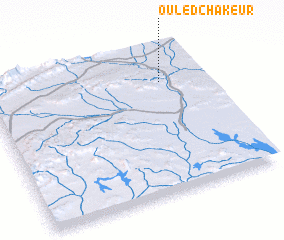 An overview map of the region around Ouled Chakeur is displayed below. The nearest airport is ERH - Er-rachidia Moulay Ali Cherif, located 27.6 km north west of Ouled Chakeur.